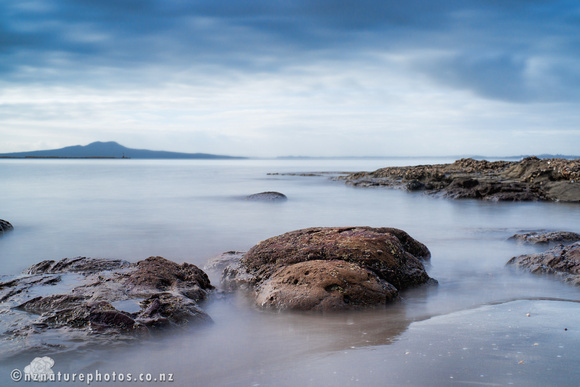 On Friday I decided to take a side excursion to Waiake Beach on the way to work. The weather wasn’t picture perfect, but I wanted to take some photos before hitting the office. 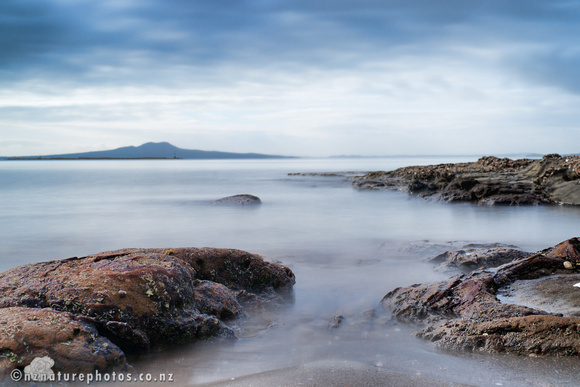 These were very low angle shots, using Rangitoto Island in the background. 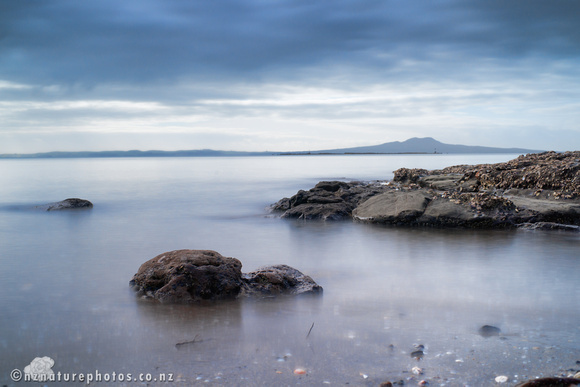 I wanted to try some ideas out with the tripod and filters, so these are long exposure shots. It also turns out that setting up a tripod at the edge of the sea is a powerful lure for curious dogs. Deterring their interest is also part of the mix. I didn’t have time to get many shots in the bag, but finished with these three. All were 10 second exposures.